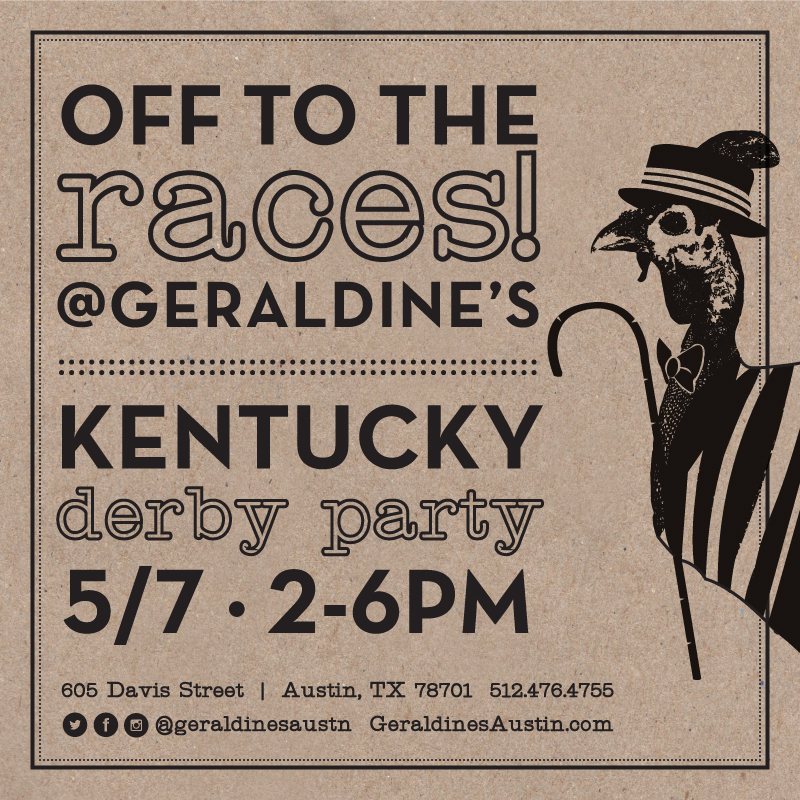 This Saturday, May 7, Geraldine’s will be hosting their first Kentucky Derby Party complete with mint julep specials and Southern fare created by the restaurant’s all-star culinary team. The race will be shown on all TVs on the fourth floor – inside the restaurant and on the pool deck. The event takes place from 2 p.m. to 6 p.m.; it’s free and open to the public.